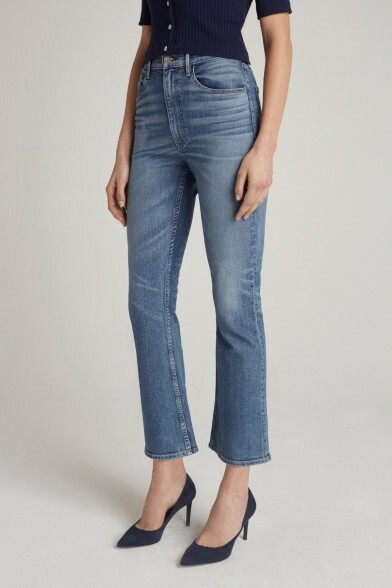 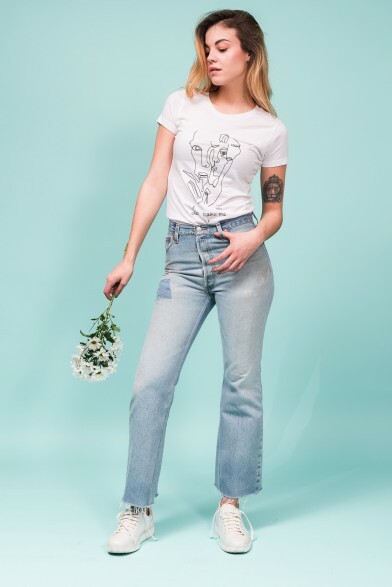 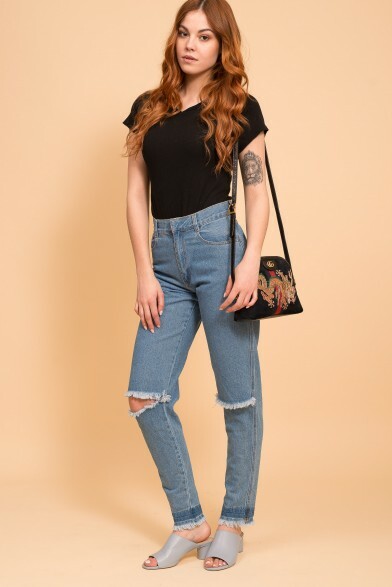 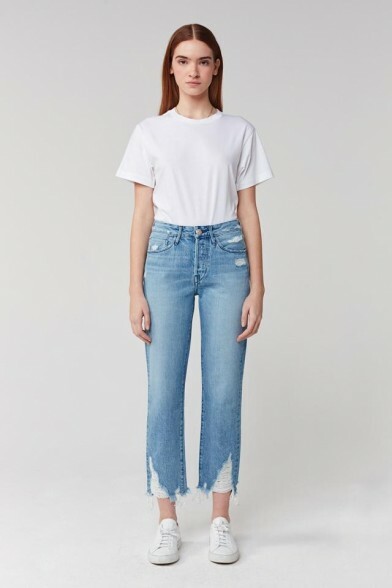 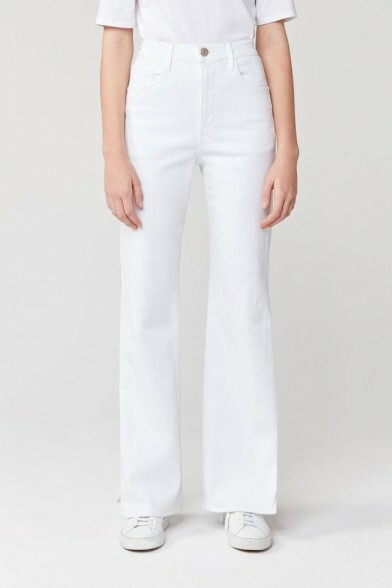 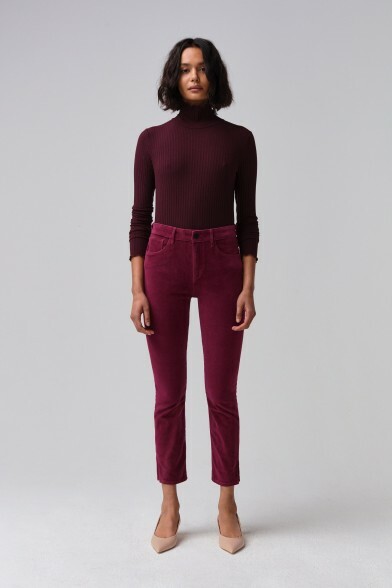 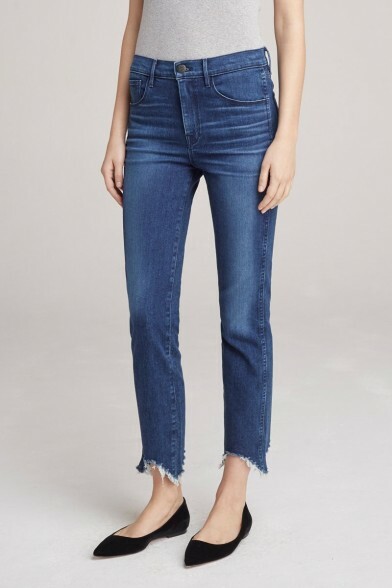 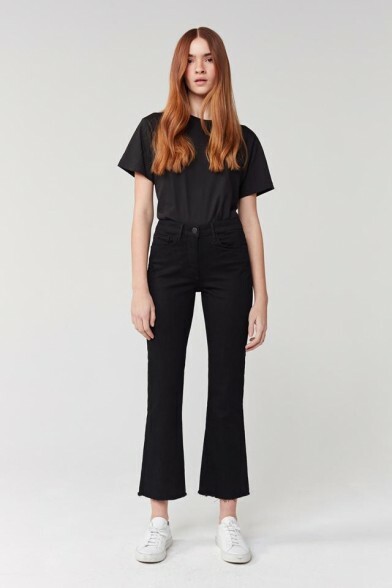 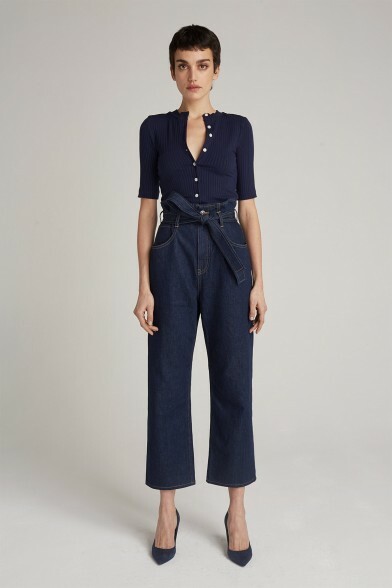 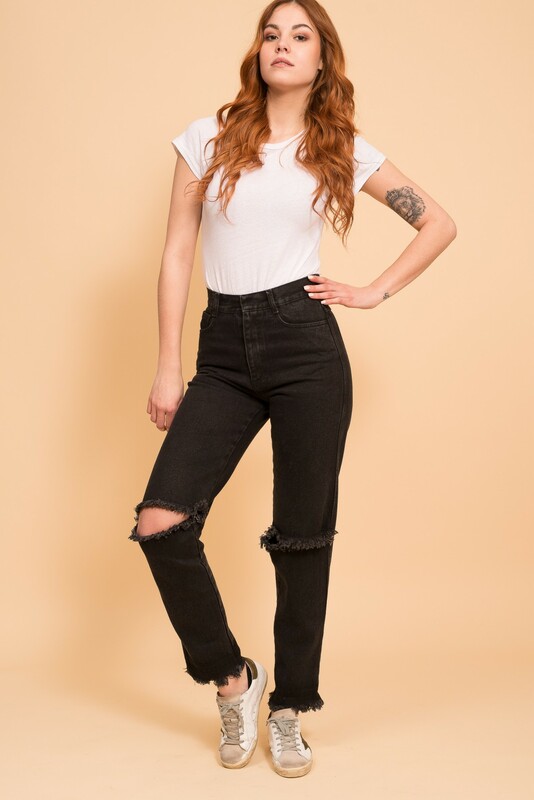 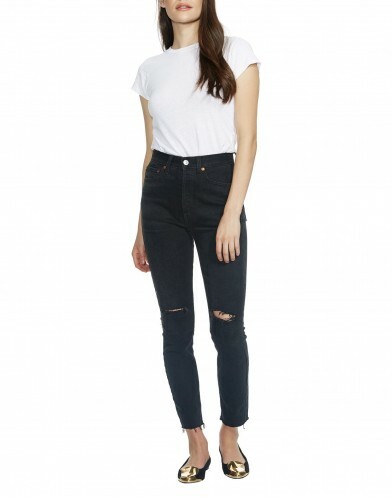 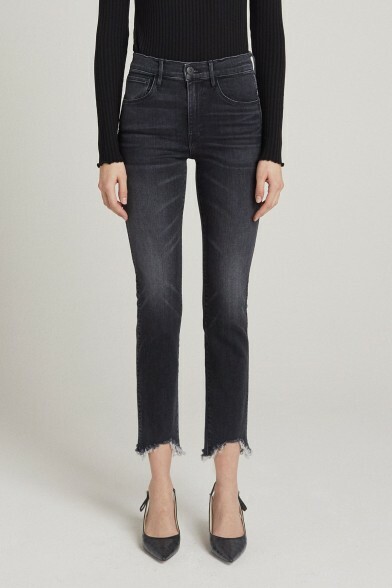 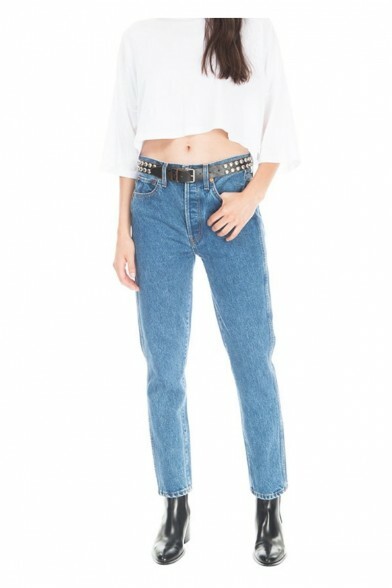 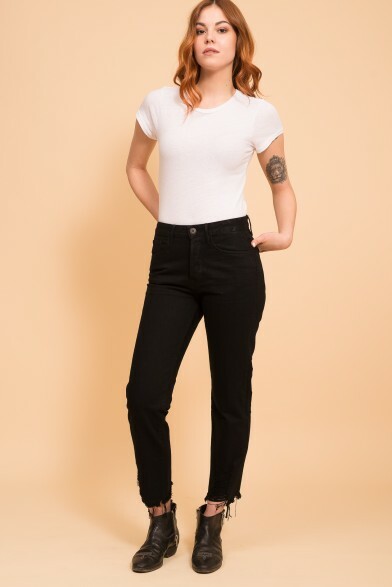 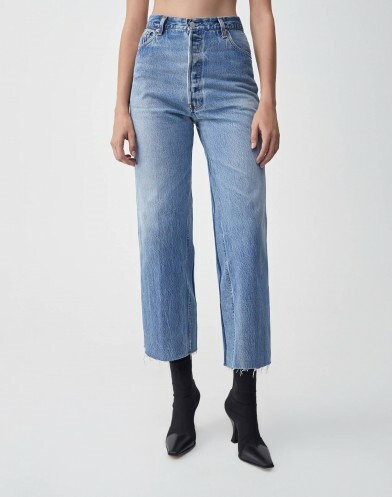 High waisted reworked jeans, made from vintage denim. 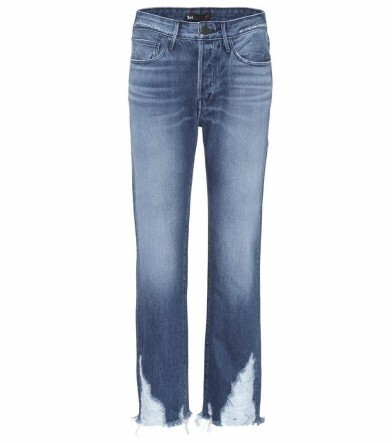 Unique cut which combines shorts and trousers, the demi-denims have holes on the knees and raw seams. 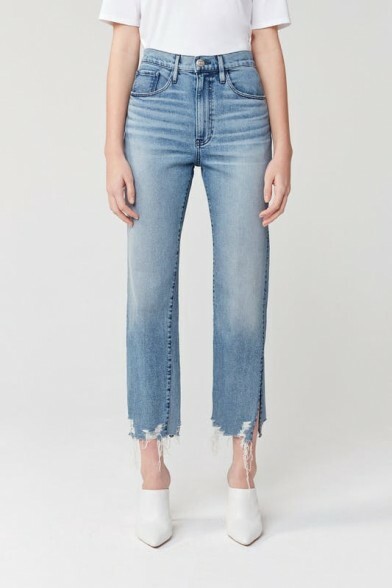 This is a slim cut.